Pneumatic Plus SAF Series Particulate Filter offers effective solution for filtering particulate and moisture in your airline. 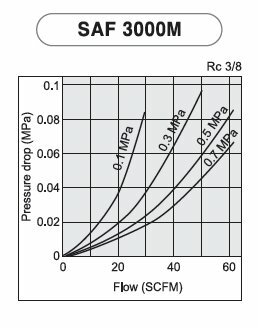 SAF Series Filters use 10 Micron Element as a standard element and offer 2, 5, 20 & 40 Micron Elements as an option. It also provides bowl options (Metal or Polycarbonate) as well as drain options (Auto or Manual). 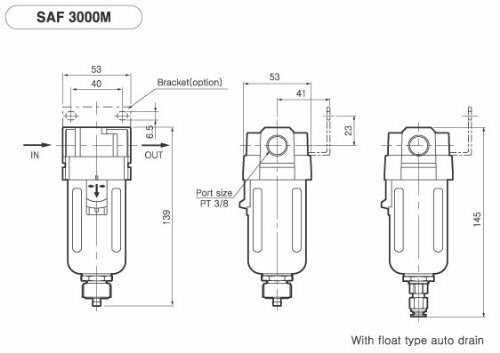 Its modular design allows SAF Series Filters to be connected to SAR Series Regulator and/or SAL Series Lubricator to complete a full Filter Regulator Lubricator (FRL) unit.